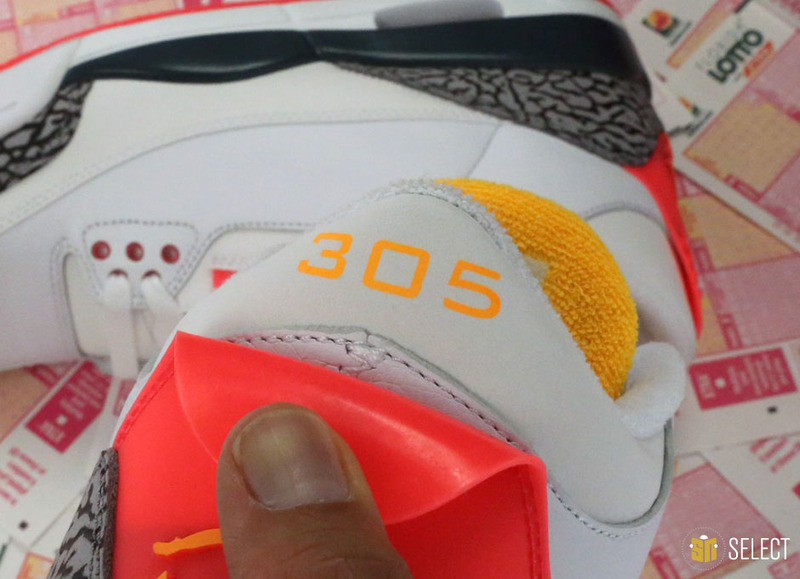 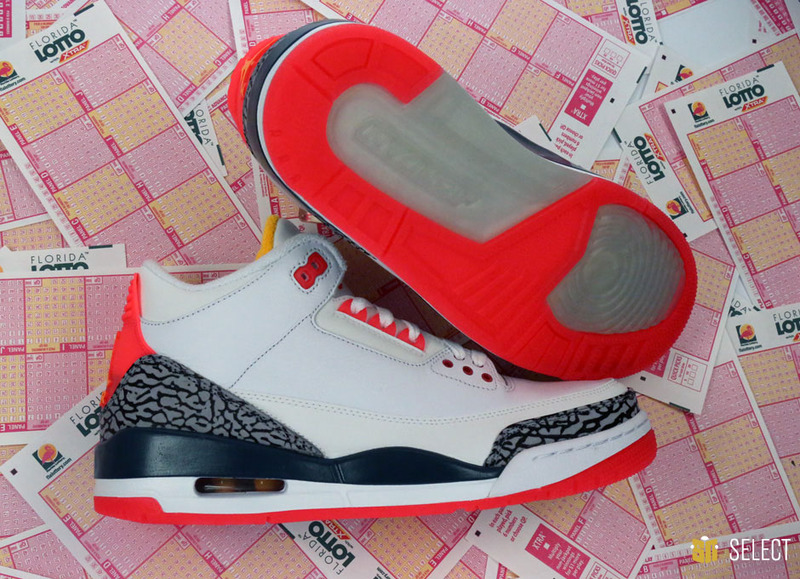 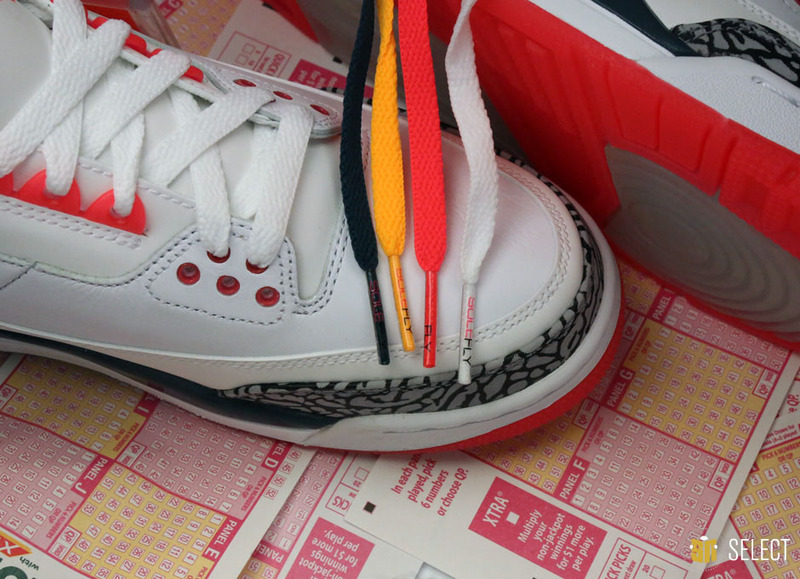 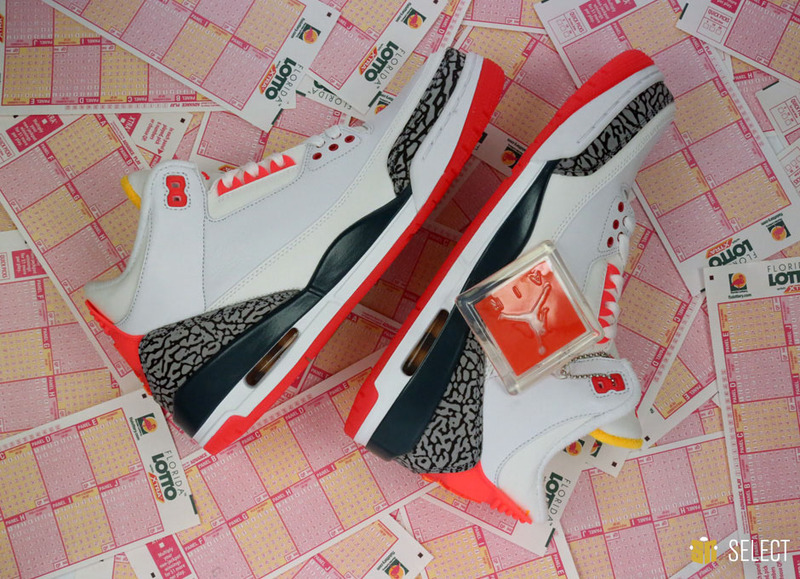 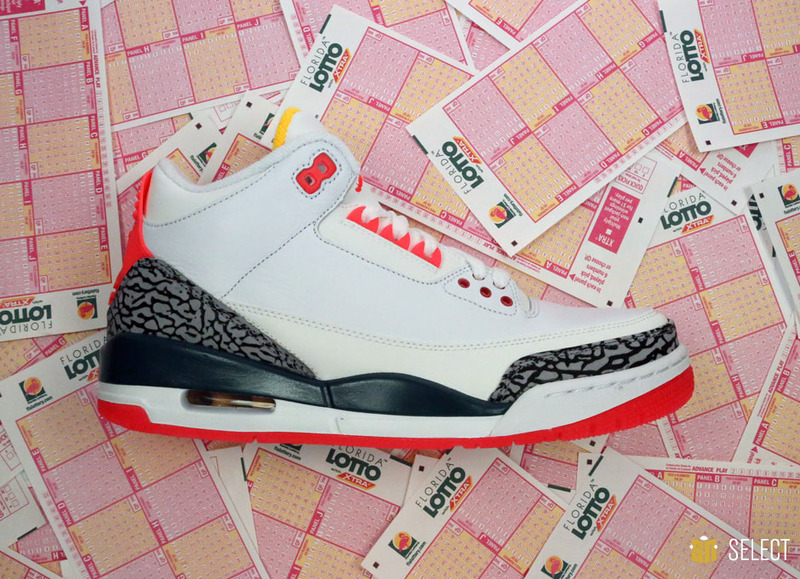 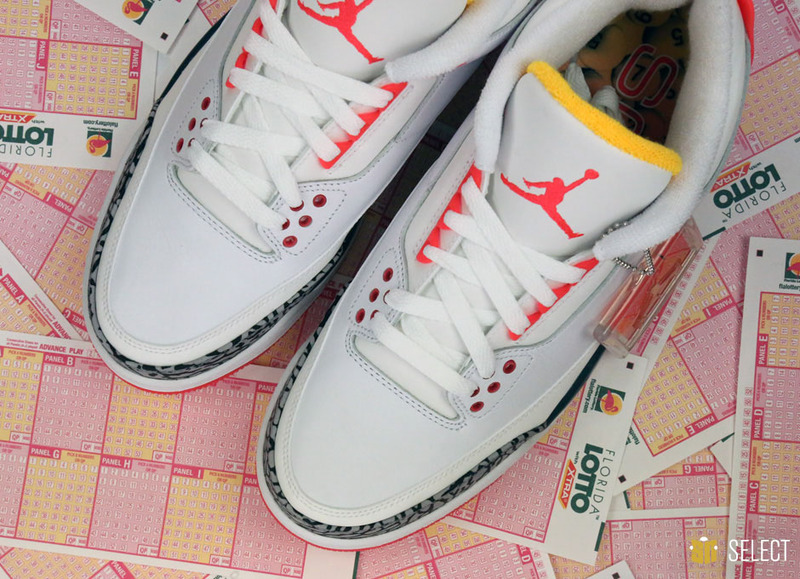 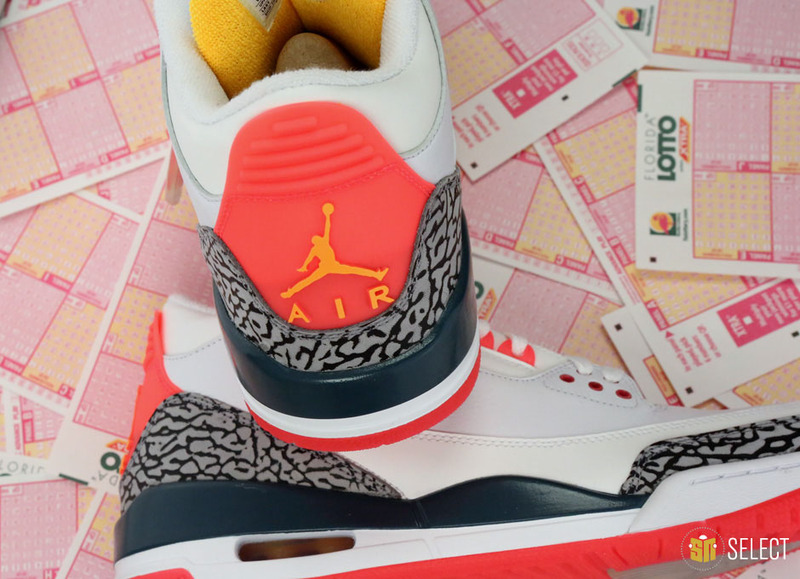 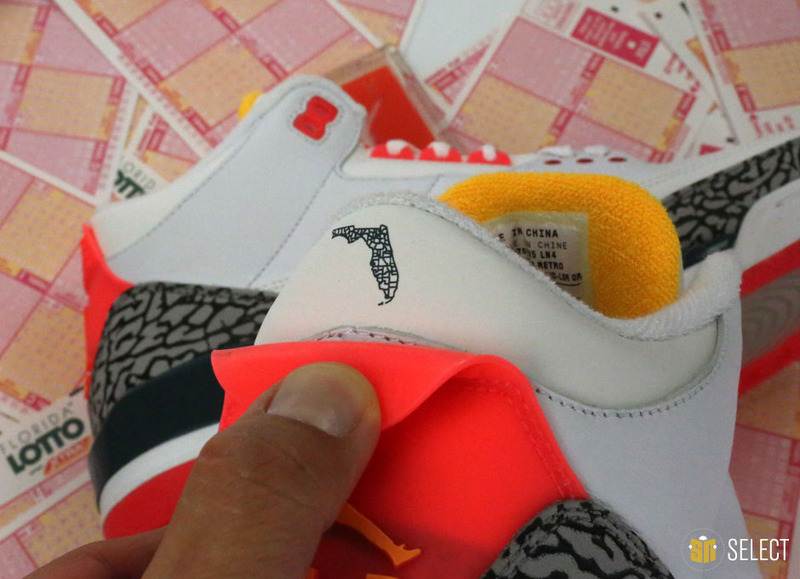 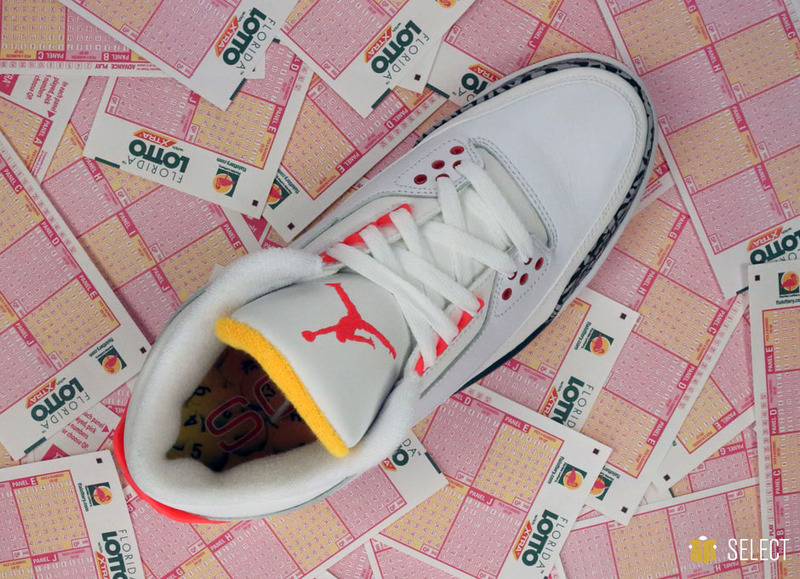 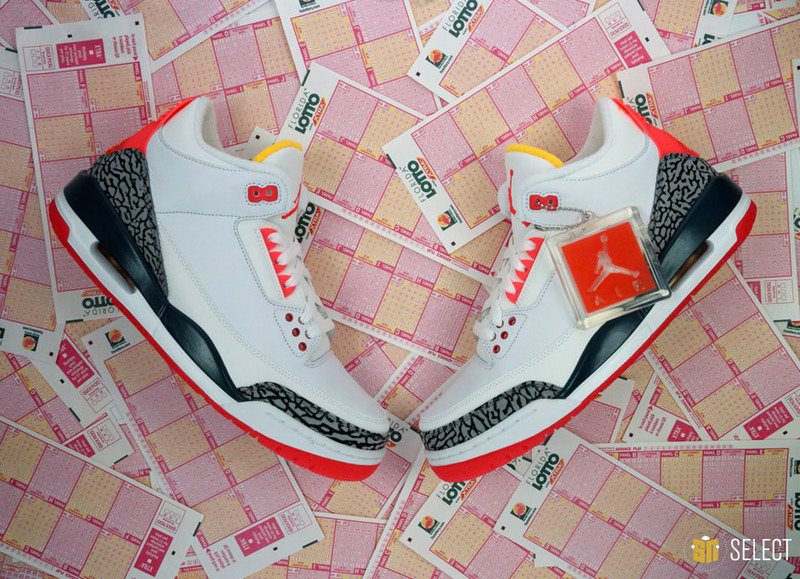 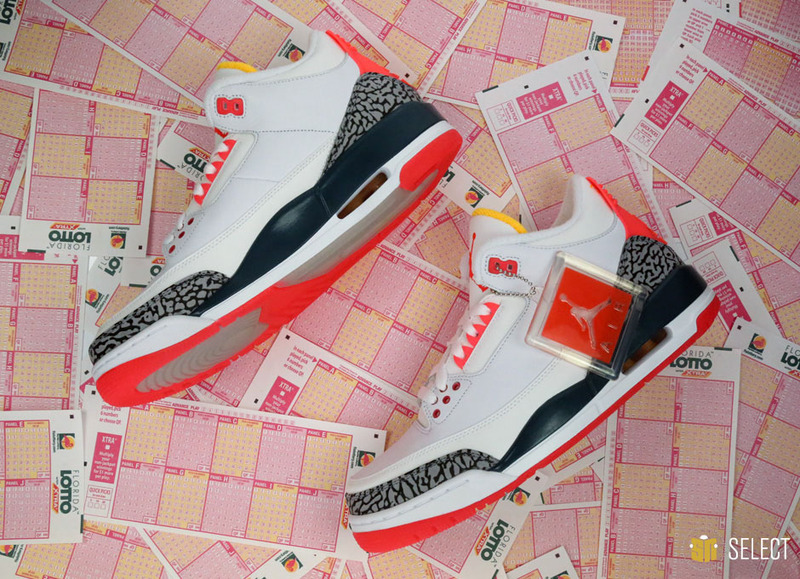 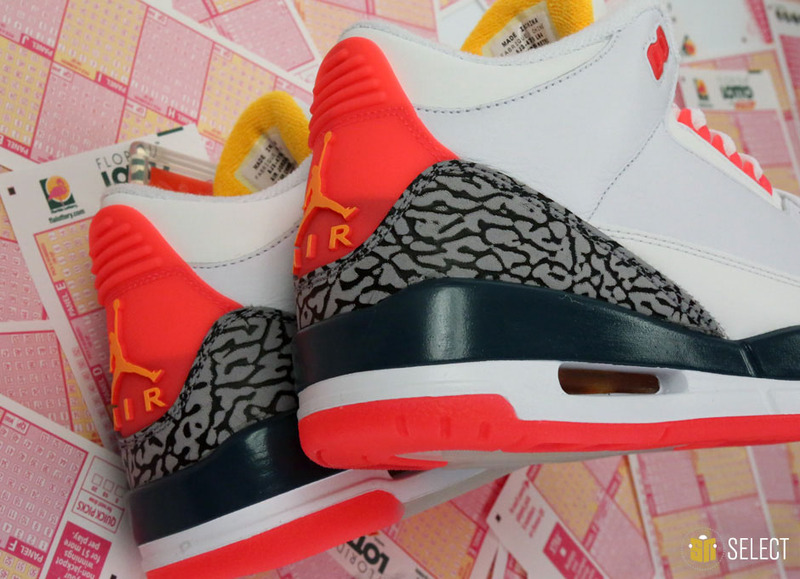 Following several previews, we finally have a detailed look at Miami boutique SoleFly's Air Jordan 3 'Lotto' collaboration. 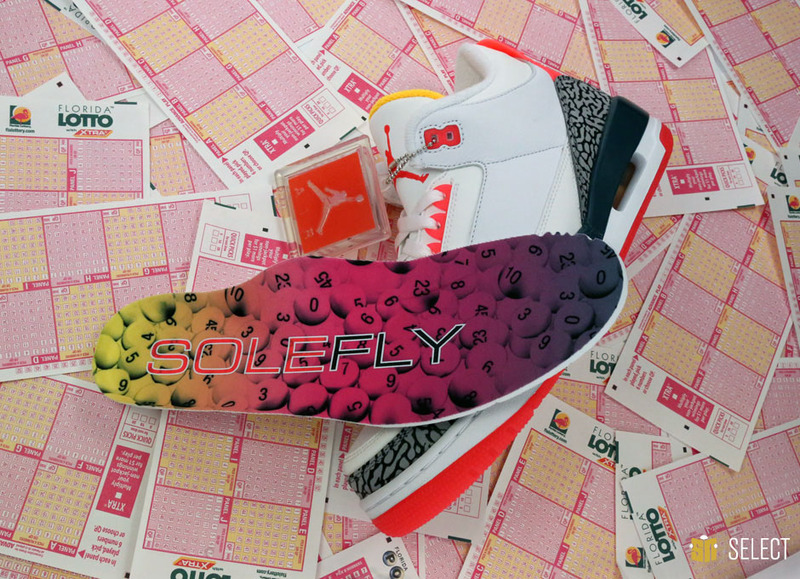 In an interview with Sneaker News, SoleFly's Giancarlos Rodriguez explains that the design is inspired by the Hispanic background of the shop's staff and their respective families' history of playing the Florida Lottery. 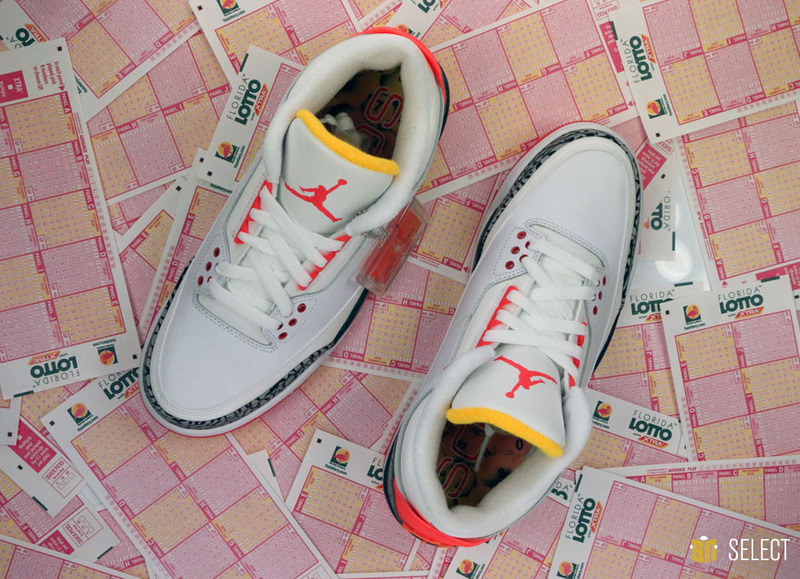 The shoe's tumbled leather upper salutes the original, while the reflective panels represent innovation and technology and the terry cloth lining is drawn for the South Beach lifestyle. 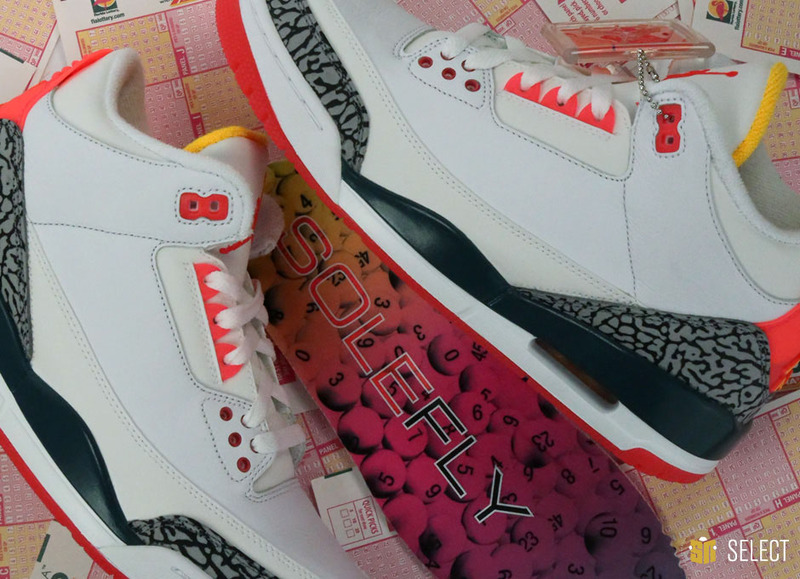 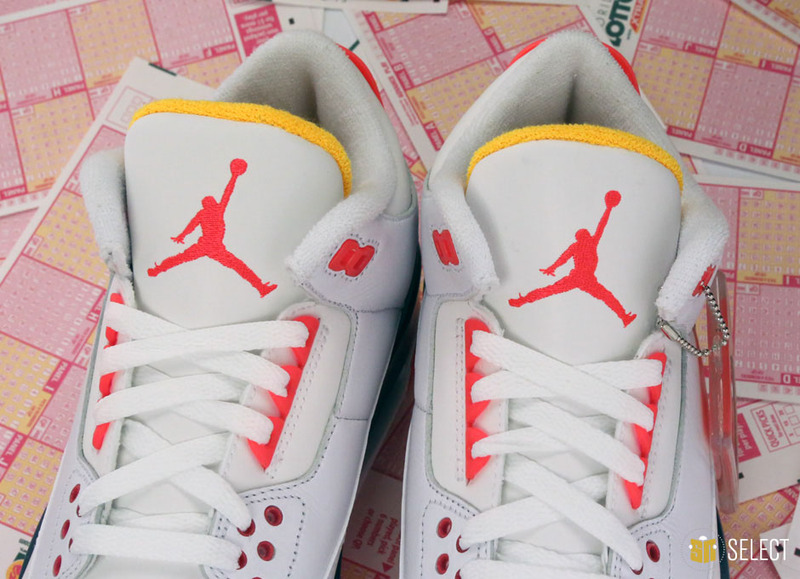 The shoe was created in celebration of SoleFly's third anniversary and is limited to friends and family for now.